These are websites I have strategized, built, and developed with my clients on SquareSpace. All content on these sites were generated by the client and fit into the site framework I built. The template names are provided as reference and the intentions range from personal/professional portfolio websites to community networking and commerce websites. Built on the Foster template, this indexed website will evolve into a commerce site. Café Mamajuana is a woman-owned catering and soon to be Dominican restaurant in Burlington. Maria Bregatta is the winner of the VT Womenpreneurs Leverage & Launch Contest. Built on the Aria template, this indexed website includes video, music clips, and a store to sell physical and digital albums. 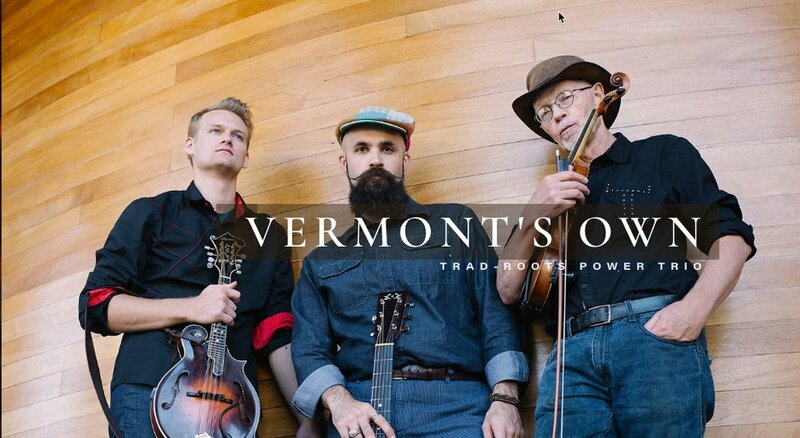 Pete's Posse is Vermont's own trad-roots trio with their own signature arrangements: a wide array of instruments playing a dynamic repertoire of folk roots genres; songs and tunes, traditional and original. Built on the Rally template, this indexed website integrates content from blogposts and Instagram posts into the layout. Vermont Womenpreneurs promotes small businesses owned and operated by women in the Green Mountain State. Built on the Bedford template, we worked with Candelin to develop a portfolio website for her travel writing and poetry. This site was completed under a deadline to share her website with a publisher for an upcoming publication her poetry was featured in. Built on the Five template, we coached Cynthia to organize her published writing portfolio with a user friendly content architecture and training on SquareSpace platform. The site was developed in a short period of time to meet a deadline for publisher, who wanted to print her website in a publication. Built on the Ishimoto template, this was one our earliest sites built on SquareSpace. A home base of photo and video content featuring Jane Ozeki, Aikido instructor and 7th dan practitioner. Built on the Bedford template, this was my first portfolio website on SquareSpace. It integrates content from my social profiles and used as a model for professionals seeking to build a site to promote their personal brand. I utilize this site to demonstrate how a client can organize their content and optimize search under their name. Built on the Montauk template, this was the second template for this website. It is a straightforward portfolio layout with easy navigation.